Each year, NCPG and the International Centre for Youth Gambling Problems and High-Risk Behaviours at McGill University ask lotteries to support their responsible gaming campaign and help raise awareness regarding the risks of underage lottery play during the holiday season. For the first time since its inception, the 2018 Holiday Campaign achieved 100% participation from all Canadian and U.S. lotteries. Lotteries can opt to participate at one of three different levels of involvement. Lottery tickets may be fun-filled and exciting presents, but they are not suitable gifts for minors. Studies suggest that gambling is a popular yet risky activity among youth. Researchers have reported a correlation between age of gambling onset and problem gambling later in life. Lottery play is sometimes an initial introduction to gambling activities for minors. This research along with a growing concern about adolescent problem gambling prompted the development of the Holiday Lottery Campaign. 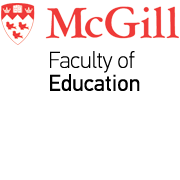 For over 20 years, the International Centre for Youth Gambling Problems and High-Risk Behaviours at McGill University has been at the forefront of leading-edge research aimed at identifying and understanding the critical factors related to youth gambling issues. In addition to its many research endeavors, the Centre also provides treatment for youth experiencing gambling problems.